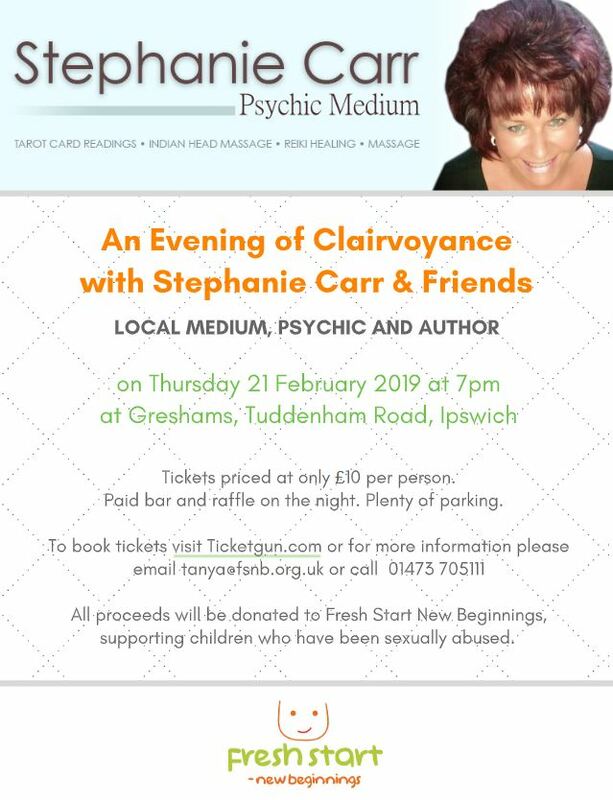 Come and enjoy an evening with local medium, psychic and author Stephanie Carr. Tickets are £10 per person. Paid bar and raffle on the night.